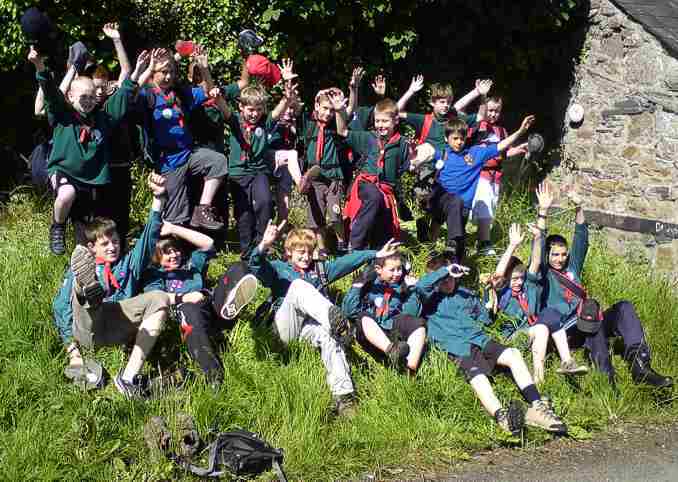 Sponsored "Walk for whales" by the 3rd and 9th Runcorn Scout Group in Bangor last year. 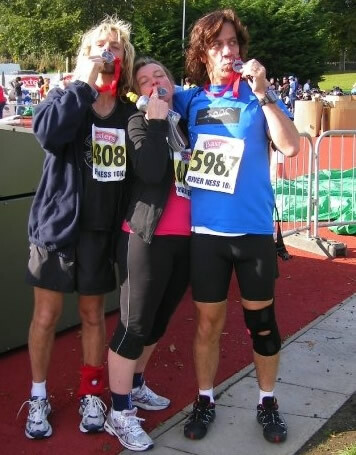 CRRU supporters running the Loch Ness marathon 10km road race. As a small, not for profit group we rely heavily on the support and generosity of our "dolphin friendly" supporters to help us meet the demands of our very active research, rescue and educational programmes. There are many ways in which you can help us with our work, but some of the very best ideas have usually come from YOU! For example, a family from Kinloss, in Morayshire, wrote and published a joke book which raised over £180 for the Unit. Dave and Barbi White from Cullen raised over £1,000 to put together the Bottlenose Boogie CD in support of our research studies of the Moray Firth dolphins, which has sold over 700 copies to date! Whatever you can do - however big or small - your support is invaluable to us! Raffles and car boot sales are an excellent way to help raise funds and are great fun too! How about initiating an active event, such as a sponsored walk or swim, or even something more adventurous perhaps? Maybe you, your family or friends have a business venture that would be interested in sponsoring the CRRU? Any ideas you have and think you can carry off, just let us know and we will be pleased to send photographs, information and banners to help you with your venture. Best of luck! You can either write to us at the address given on the homepage or send an e-mail. To create your own fabulous "on-line" fundraising page click HERE. To download our generic form for your sponsored fundraising event, click HERE.